Combine the ingredients in a food processor, and then blend until smooth. Store the guacamole in a Kilner® Jar and then refrigerate for an hour before serving. 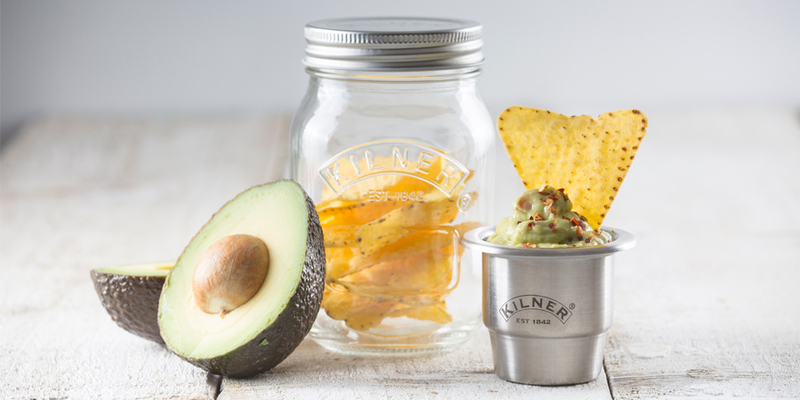 The Guacamole is perfect for the pot in a Kilner® Snack On The Go jar, so that you can have fresh chips and dip wherever you go!